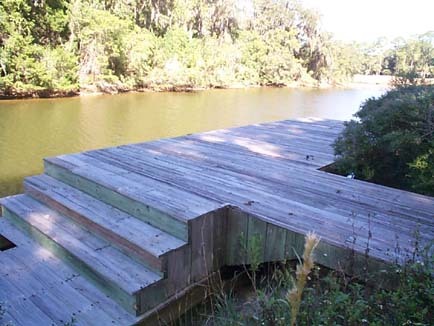 The Palm Coast Golf Course ''Boat to play Golf' Dock . 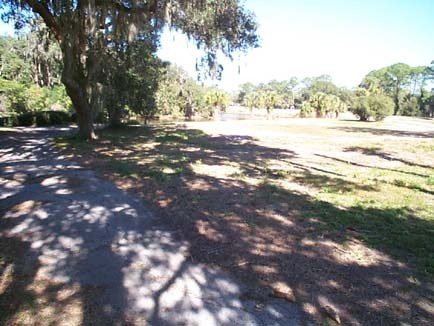 Very early on, the Palm Coast Golf Course, the first full Golf Course in Flagler County was not completely finished. Only nine holes of the eighteen pledged by the Company, ITT Levitt, then later ITT ICDC were completed. Started was the 'Contemporary Clubhouse', driving range, and putting green. 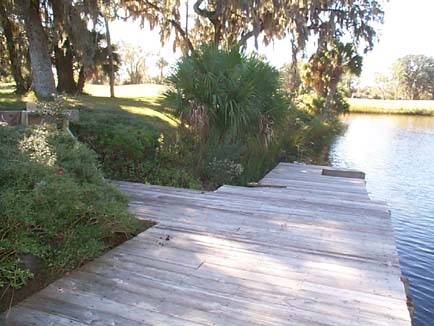 Early Prospective Buyers were taken on a 'Boat Tour' to this 'Boat to Golf ' Dock. Since the canals were plugged early on, some residents had watercraft anyway. Some would throw their Golf Clubs into their watercraft and *cruise* on over to the Clubhouse to sign in and play Golf. Others were 'dropped off' to *sign up and play Golf* , and later 'picked up' too. Some would see *friends* at the Clubhouse and the friends would return to the home via the personal watercraft, later re returned back to the 'Clubhouse' . It was a very *social * community and all the wonderful amenities we had this last Century lent themselves to that interaction and 'Socialization'. 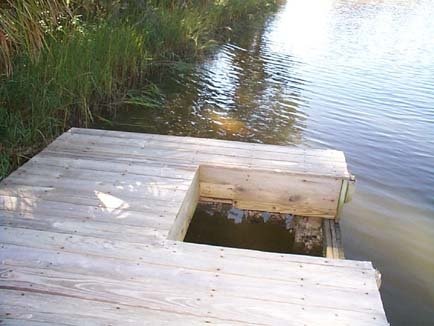 Many of us used this 'Boat to Golf ' Dock for social and fishing for decades last Century, however, this Century, it appears to have been SOLD. A "No Trespassing' sign is there now and no one can get R&R there, or fish, or social there anymore this Century. It apparently was SOLD, making room for Hi Rise/ Hi Density Puds. Putting green to the right, Clubhouse to the rear view. Please note the as yet, 11/ 2008 undeveloped area. 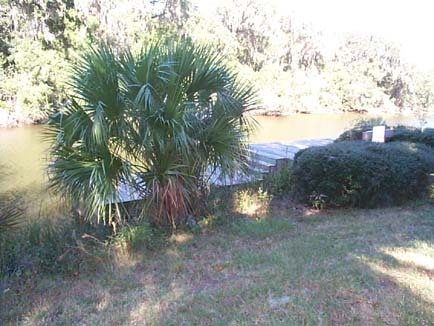 It is the site of the 'Designated and Recorded' in the Flagler County Courthouse the Single Family, LOTS, each and every LOT with perpetual Easements. These designated and recorded streets are: Country Club Place, Cambridge Court, and Cypress Court. 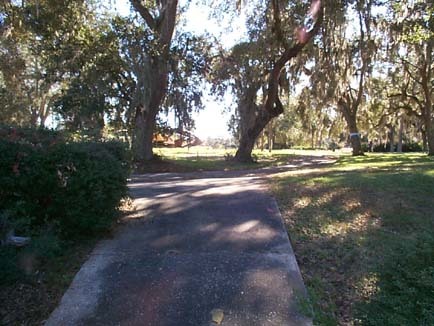 Please note the massive Oak Tree Canopy that still exists there as of 11/2008. 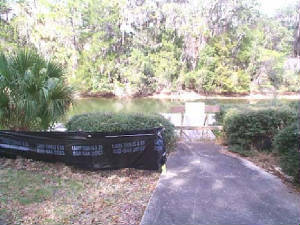 "Boat to Golf' Dock full view, to left is pathway directly leading to the Clubhouse. step from Boat Tour watercraft or personal Watercrafts. 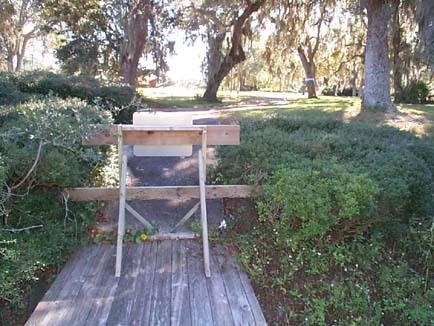 Steps up to the 'Path' leading directly to the putting Green and 'Clubhouse'. 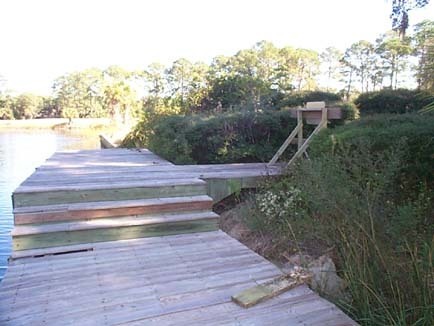 View from the top of the 'Boat to Golf' Dock looking towards where the Clubhouse once was. Please note the massive Oak Tree Canopy. Directly in front was where the 'Contemporary Clubhouse' once stood, to the left is where the Putting Green once was. 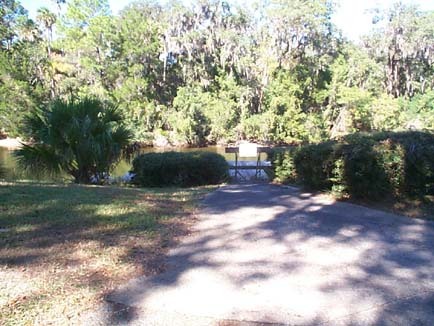 View from under the Massive Oak Tree Canopy looking toward 'Boat to Dock' entrance. Left is the 'Boat to Golf' Dock, right in picture is the demolished 'Putting Green'. Perhaps a new roadbed for Cooper Lane...or for the PUDS. 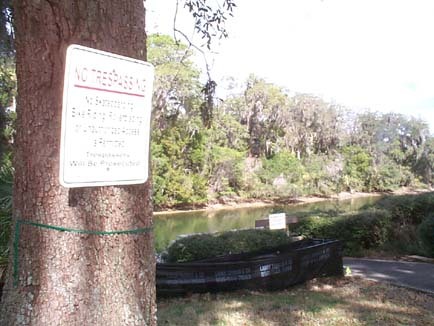 NOTE: the "NO TRESPASSING" signs for the 'Boat to Golf Dock ' were finally removed November 8, 1009. 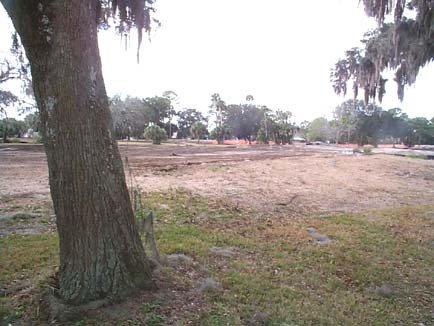 It is nice now that we hopefully will no longer be denied the enjoyment of this Palm Harbor Golf Course Feature what we were shown and paid for. We were denied this enjoyment from 2005 until November 8, 1009. IT is nice that we and others can now enjoy this Feature yet again. We remain stewards of this early history of Palm Coast, hoping for a Museum like Flagler Beach already has, hoping for a Certified Local Government like so many other Florida Cities already are.